Nothing Beats a Hawaii Vacation! Cocktails for the mood, Music for the Soul and Mega Wins All Around! 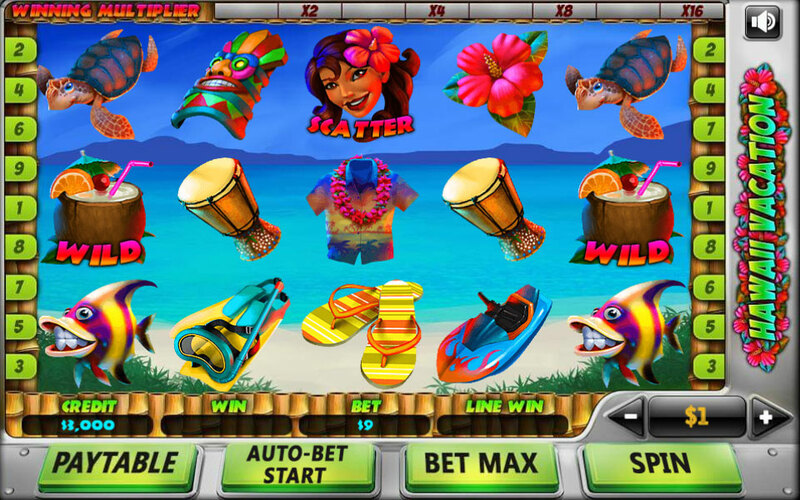 Hawaii vacation presents 9 winning lines which you can play both right to left and left to right. 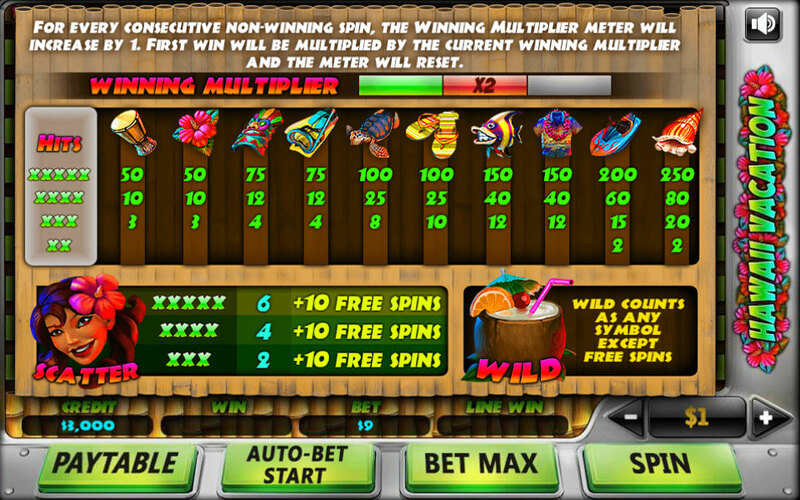 The main game feature you should know about is the winning multiplier – this awesome feature will make sure your vacation stays on course, it will multiply your first win after every non-win round up to 16 times!! And for desert, get familiar with the Scatter bonus - By receiving 3 or more will grant you 10 free spins!